Taking pride in your job and way of life sounds simple, yet it is not always a straightforward task. After a brutal winter and late start to spring, optimism has been in short supply in farming and has added to a feeling of being under the cosh after months of deflecting criticism from the likes of environmentalists and animal rights activists. That is where Farmers Guardian’s new campaign – Farming: The Backbone of Britain – comes in. It is a feel-good celebration of the people, places and attributes which make British farming such a wonderful entity and it will shine a light on agriculture’s cast of characters over the next 12 months. FG has been banging the drum for agriculture for the past 174 years and now feels like the right time to once again shout about the great things agriculture provides beyond simply food production, whether that is the preservation of traditional skills, or the farmers who help bind together the social fabric of our rural communities. It is also a campaign which seeks to utilise the phenomenal reach FG is now achieving on its website and on social media, with our Facebook and Twitter accounts having in the region of 250,000 followers – the largest in UK agriculture. 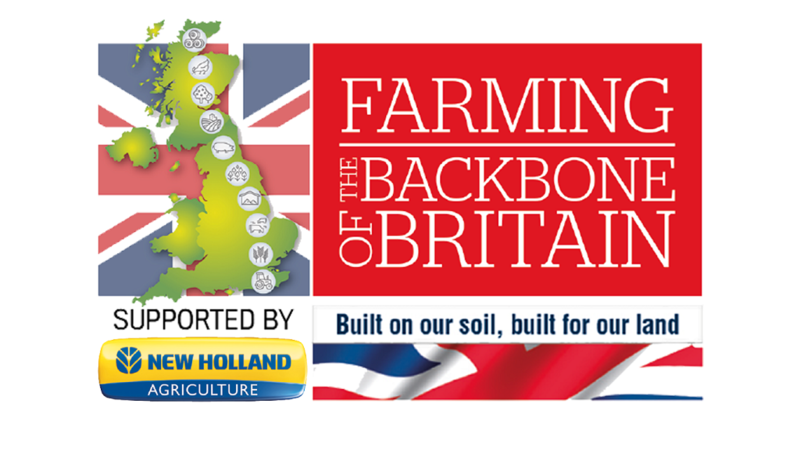 This provides an unrivalled platform for you and us to promote British farming via the hashtag #proudtofarm. Defra Secretary Michael Gove’s backing of the campaign and exclusive interview this week also shows how we can use positive messages to reach out to the big hitters within Government and reinforce why it is crucial they support farming at such a time of uncertainty. Far from preaching to the converted in the form of just our readers, we are adamant that Farming: The Backbone of Britain extols the virtues of British agriculture to as wide an audience as possible. After all, it is our industry and the work you do which feeds people, shapes our wonderful countryside and helps retain the vibrancy of rural towns and villages and we should be proud to shout about that, if nothing else.